← eReaders: Where did they all go? 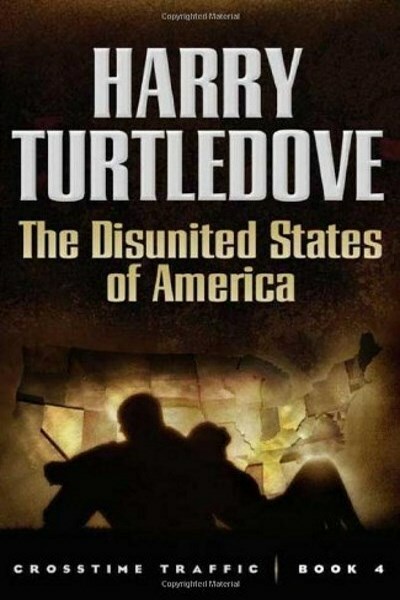 The Disunited States of America by Harry Turtledove is an alternate history tale in which the Constitution of the United States was never written. The resulting fallout is that the "united states" become the "disunited states," with each state going down its own road. Advances in society, technology, etc. all occur at different rates within each state. Some still have slavery. Others have achieved the relative amount of equality we enjoy ourselves. Still others have reversed the white/black dichotomy altogether; blacks are masters over whites. War amongst the states is frequent. California is one of the most advanced and powerful of the states; no one messes with them. The Disunited States of America is the fourth book in Turtledove's Crosstime Traffic series. If you are looking to start with this series, perhaps you’d be better served by starting with book one and going on from there.